Silicon Valley, Meet LaGuardia Community College. 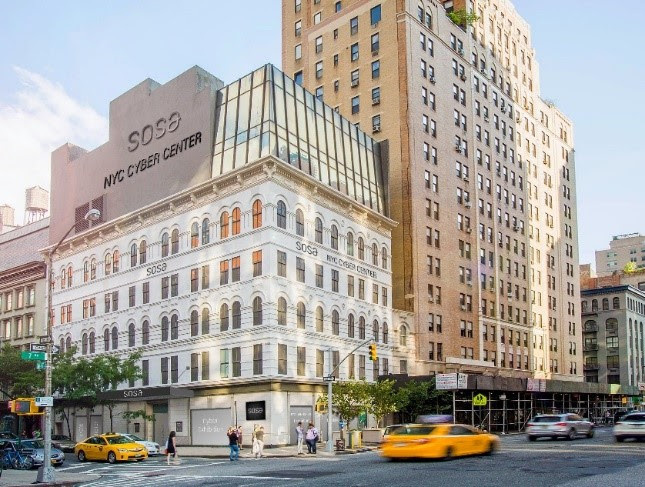 On Tuesday, The New York City Economic Development Corporation (NYCEDC) unveiled its plans to partner with LaGuardia Community College and other institutions to create a Global Cyber Center in Chelsea and another space in SoHo. The goal is to transform New York City into a cybersecurity leader. “New York City needs to be ambitious about cybersecurity because our future depends on it. Cyber NYC will fuel the next generation of cybersecurity innovation and talent, leveraging one of the world’s greatest threats to create a major economic anchor and up to 10,000 quality middle-class jobs,” said NYCEDC President and CEO James Patchett in a statement. A rendering of the proposed NYC Cyber Center, which will depend on training and resources from LaGuardia Community College. Artist’s rendering courtesy of NYCEDC. LaGuardia Community College was tapped to head a six-week cyber boot camp along with software development school Fullstack Academy. LaGuardia has one of the largest tech training programs in the region with 3,500 students already moving through its program each year. The boot camp will allow adults with minimal understanding of cybersecurity to train and learn the basics of the industry. NYCEDC projects that the boot camp will offer students 1,000 jobs with an average starting salary of $65,000 during the first three years of the program. “LaGuardia Community College is proud and ready to join this bold initiative that seeks to make NYC a center for combatting cyber threats. Cyber NYC provides a route into the well-paying, in-demand field of cybersecurity for our low-income or otherwise disadvantaged students—enabling them to make better lives for themselves and their families, while allowing students with an aptitude for computer technology to put their passion to work,” LaGuardia President Gail O. Mellow said in a statement. The NYCEDC said it expects 10,000 cyber security jobs to come out of the center in the next 10 years. There are cybersecurity attacks every 40 seconds across the world, leading to a high demand of talent in the industry. With the center, New York hopes to meet some of that demand. The cybersecurity industry in the city currently features over 100 firms and 6,000 employees, and the industry is believed to be both high-paying and accessible with 95 percent of jobs paying over $50,000. The 15,000-square foot space will support growth-stage startups, facilitate access to clients for companies and provide business support and investment in the cybersecurity industry. Meanwhile, Columbia University will connect cyber security academics with business talent to help launch new startups in the industry. In addition to Columbia, New York University, Cornell Tech and City University of New York schools will offer new degree programs in cybersecurity to assist with the initiative. Large partners like Mastercard, Facebook, Goldman Sachs and PricewaterhouseCoopers have agreed to support the program through hiring, developing a degree program or advising the initiative.